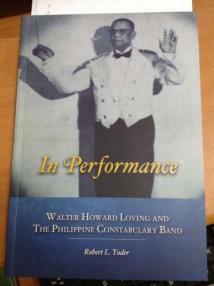 Walter H. Loving was the first African-American military band director although his band was composed of Filipinos, not blacks in black regiments. Loving and the band demonstrated the outstanding musical abilities of Filipinos in the United States. Their exceptional performances at the St. Louis Expositon (1904), the Panama-Pacific Exposition (1915), and the Goden Gate Exposition (1930) amazed their American audiences and won accolades from international reviewers. They played before the emperor of Japan and led William Howard Taft to his inauguration as the President of the United States. Loving, the son of a former slave, overcame the prejudice against blacks during his era, winning the support of American and Philippine authorities with his multiple abilities. His dreams came true, in part, because he wond the admiration and allegiance of Filipino band members who praised his leadership.